In February we provided an industry blog update on the status of a number of neighbourhood plans currently being prepared by BCC. 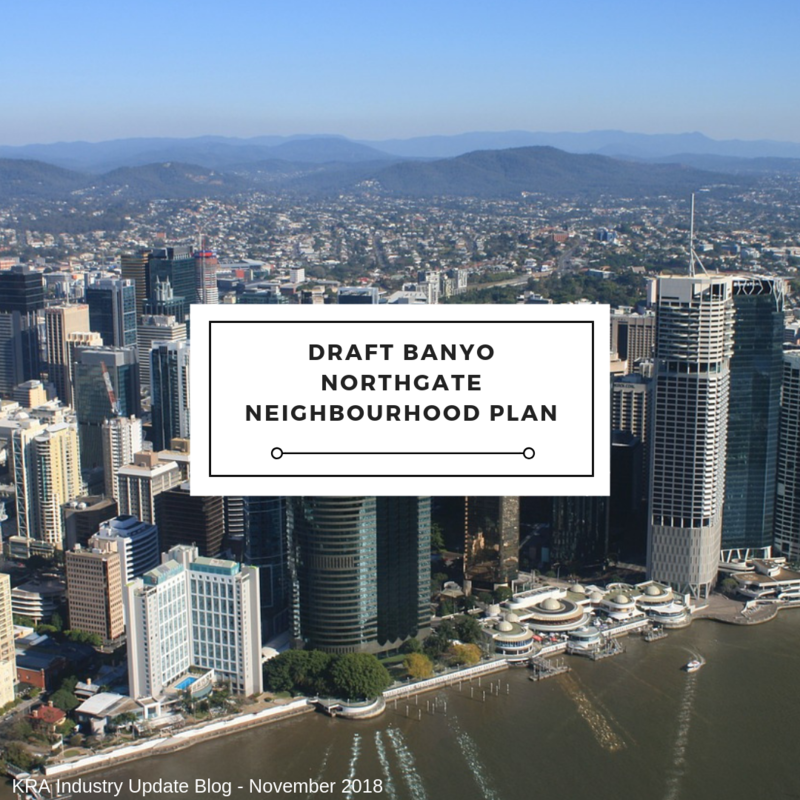 This includes the Banyo-Northgate Draft Neighbourhood Plan, which also includes parts of Nudgee, Nundah, Virginia and Hendra. The intent of this plan is to manage future growth and development in the neighbourhood plan area, given its advantageous access and proximity to regional transport infrastructure and the Australia Trade Coast precinct. In this update we will outline some of the key changes and features. The draft plan is under public consultation, with public submissions open until 17 December 2018. After this period Council will conduct a review and may make changes to the draft plan. Now is your opportunity to understand how proposed changes may affect your property before the City Plan 2014 is amended, to take advantage of potential benefits when changes come into effect. The anticipated adoption timeframe has been extended from mid-late 2018 until mid-late 2019. Northgate railway station will be a future growth node along the north-west rail corridor. This will accommodate new housing and will provide commercial opportunities by supporting new employment precincts at Northgate and Bindha and expansion of the Banyo centre to provide increased local services. Key industrial land identified as part of the Northern Major Industry Area under the City Plan 2014 strategic framework will be protected. This has been developed in response to demand for Brisbane’s limited supply of industrial land, and reflects the draft Brisbane Industrial Strategy. The changes intend to resolve existing industrial and residential use interface issues through a number of strategic zoning changes which will aid transition from traditional industry to mixed industry and business, to balance future growth. Introduction of Mixed Use (corridor precinct) Zone and Medium Density Residential Zone along Rochat Avenue, to improve the transition between sensitive and non-sensitive land uses and improve opportunity for residential use where nearest the railway station. For more information or if you have specific questions about your property or the draft Banyo-Northgate Neighbourhood Plan contact us on (07) 3876 0533. Check out our latest LinkedIn, Instagram and Facebook posts! Follow us here.